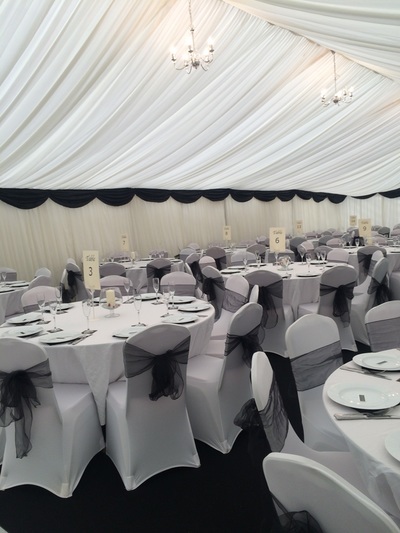 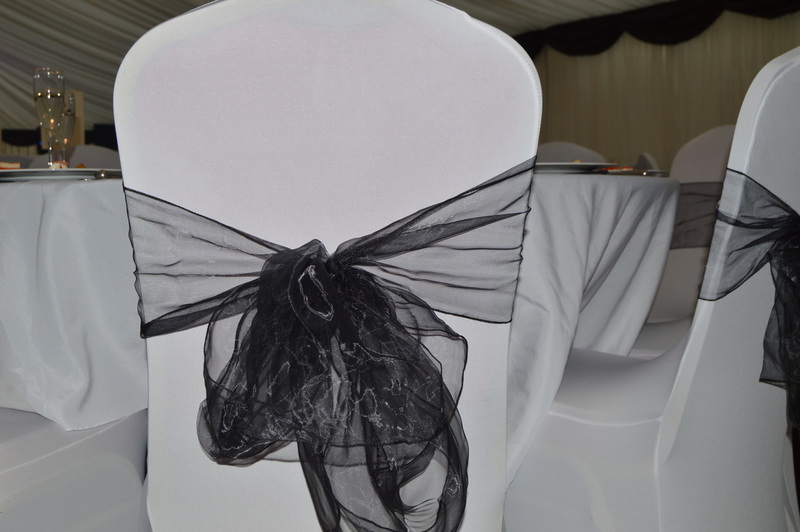 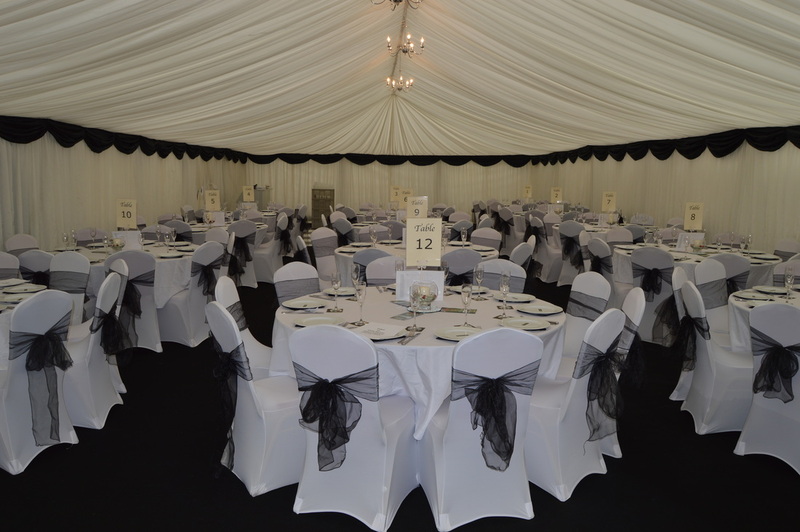 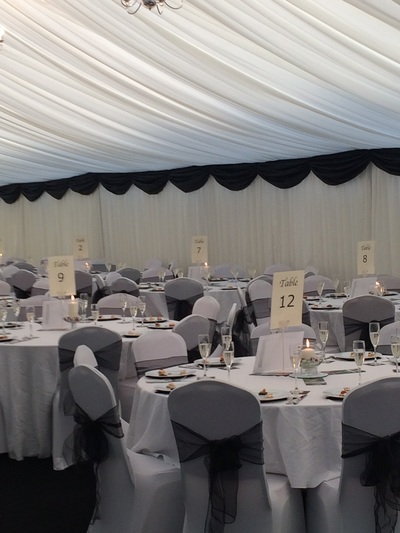 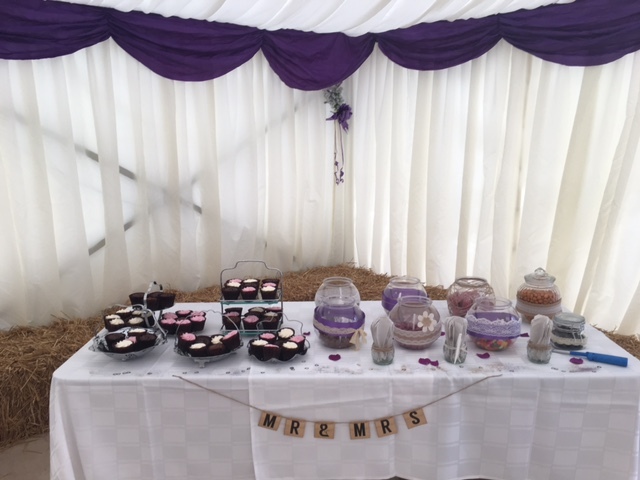 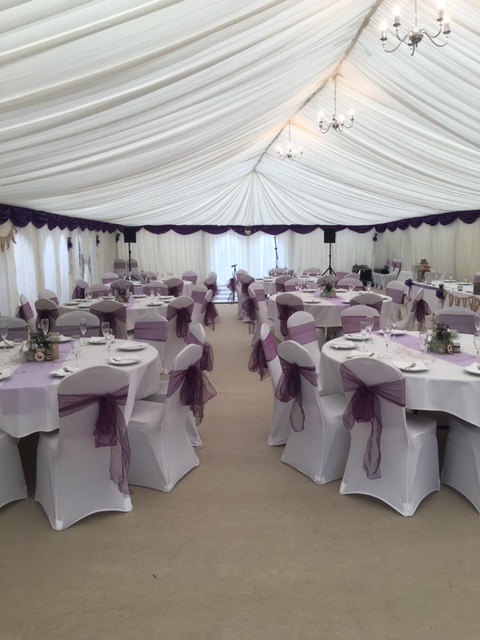 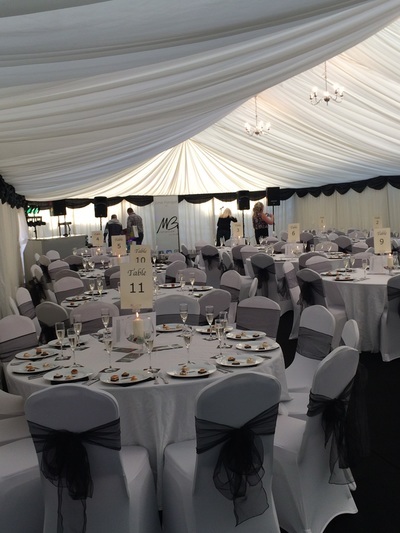 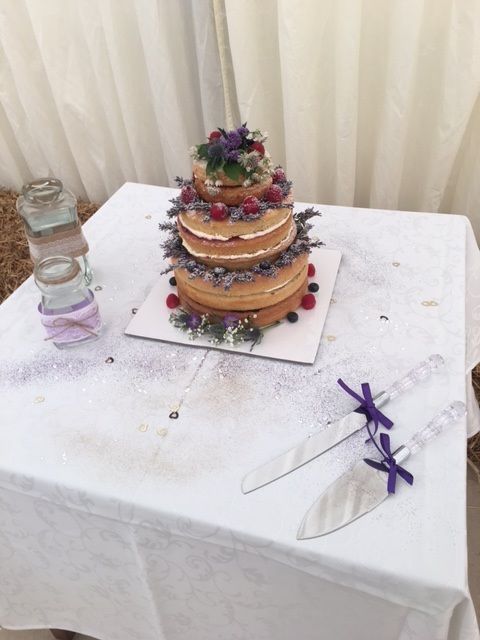 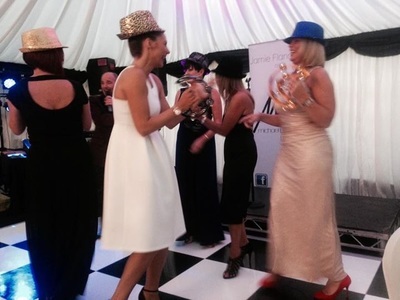 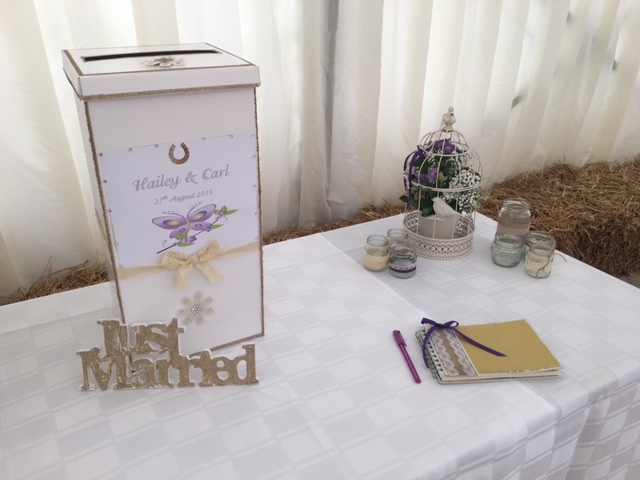 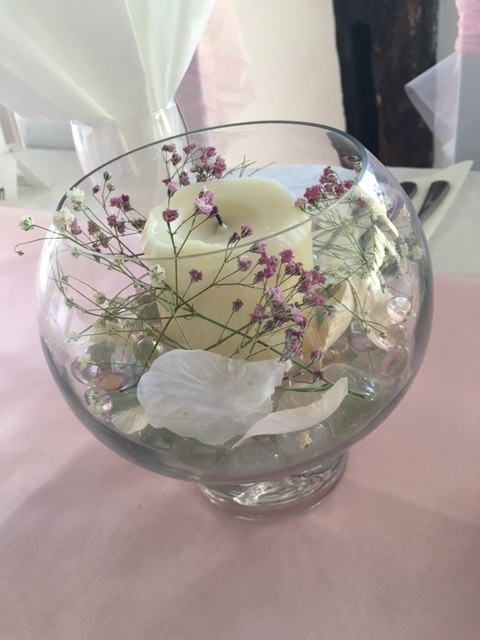 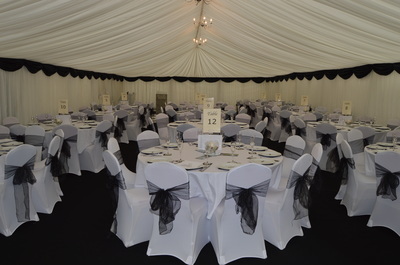 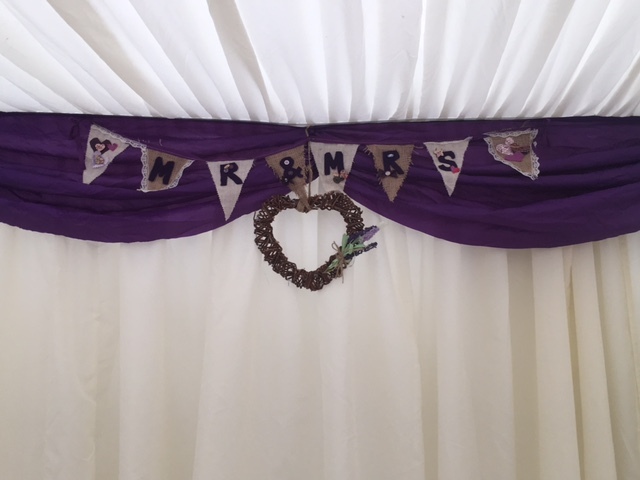 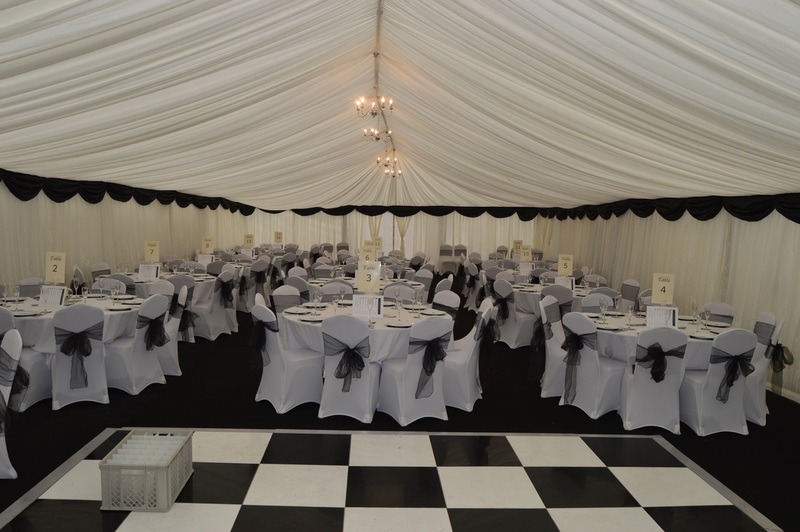 Marquee wedding package prices start at £58.95 per person available for a minimum of 100 guests. 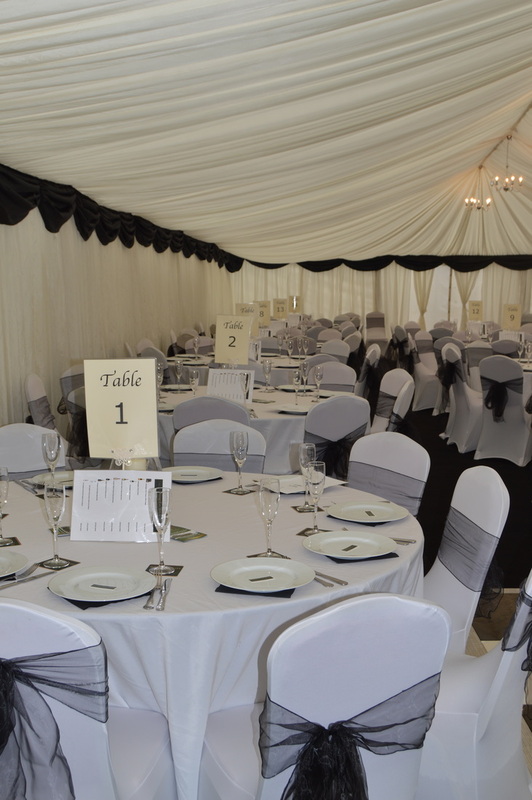 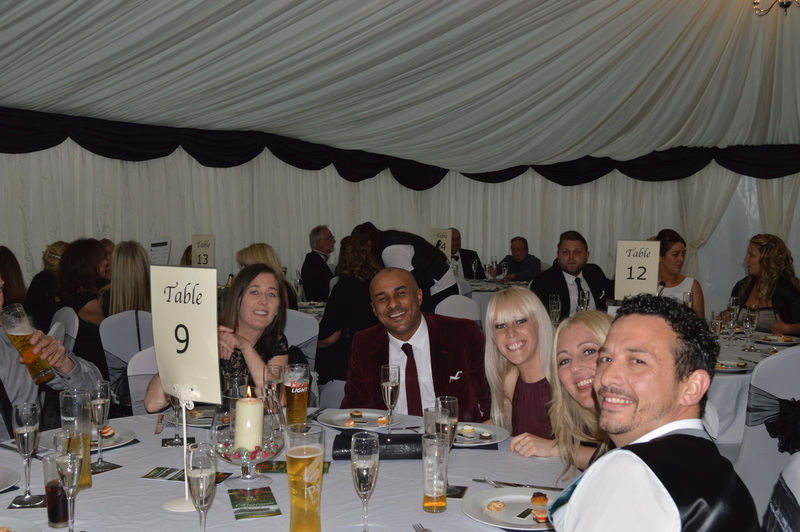 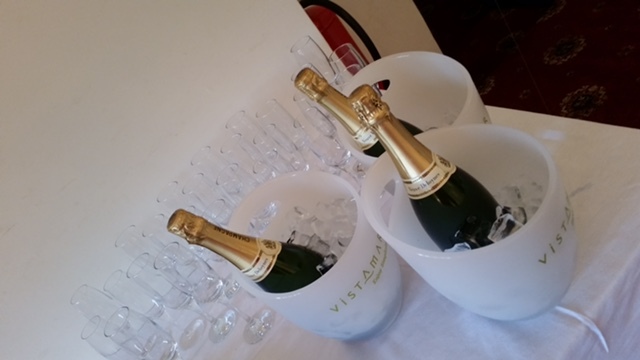 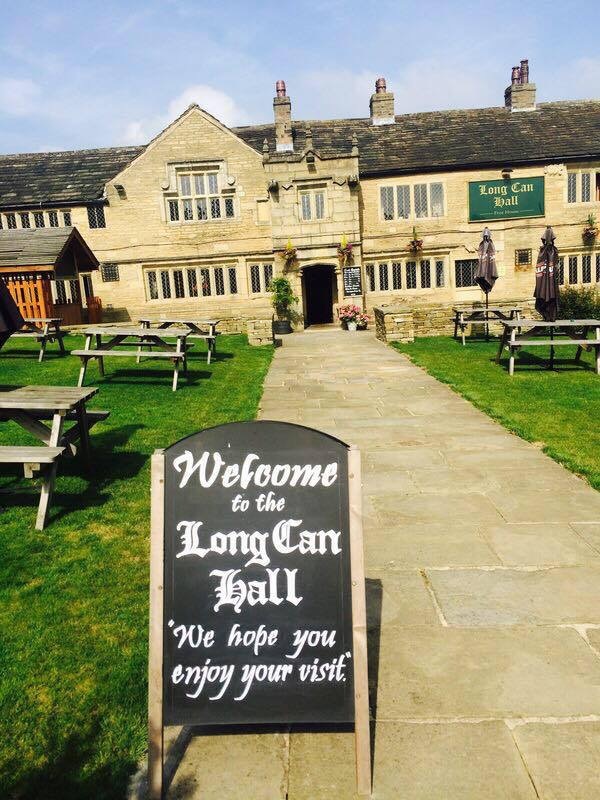 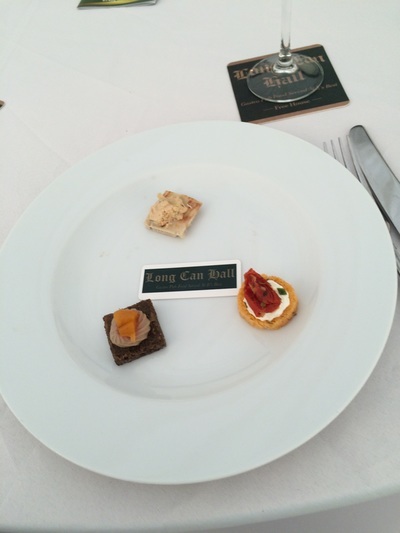 £58.95 Per Person thereafter, maximum amount of guests 200. 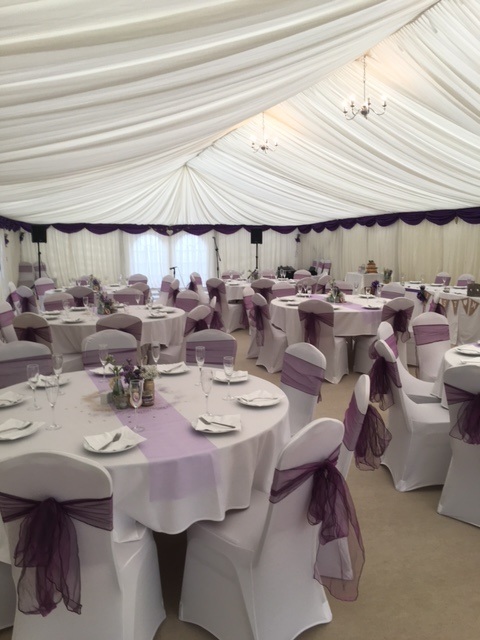 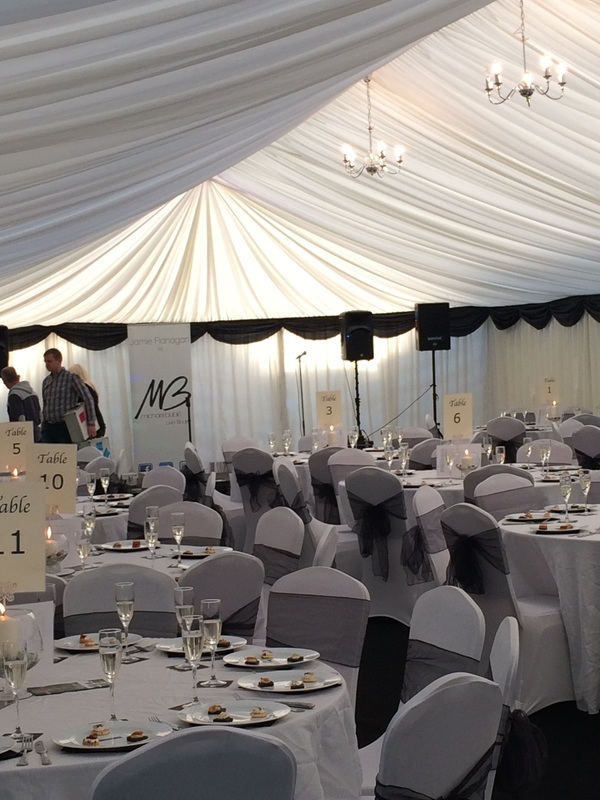 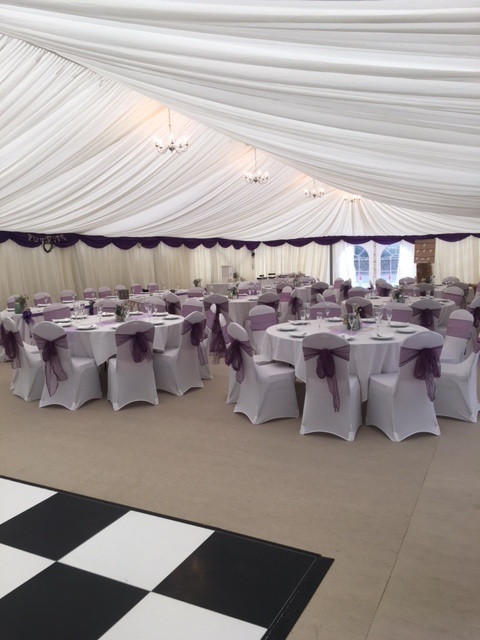 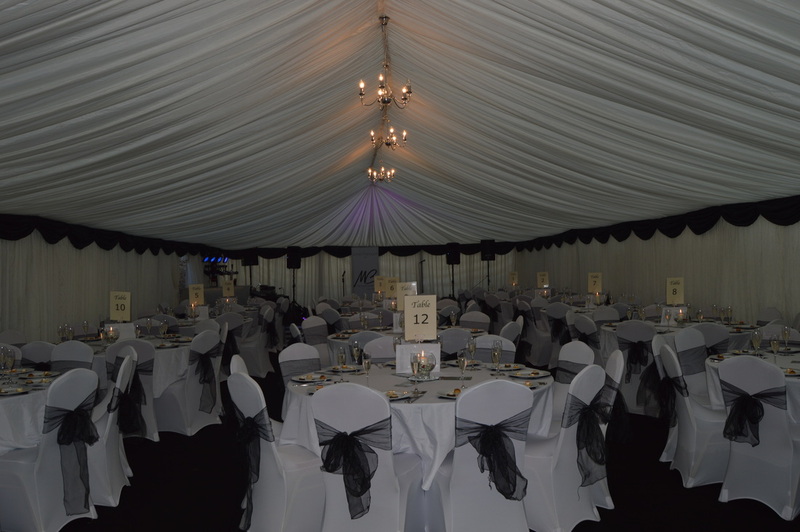 Fully dressed marquee with full roof and wall linings, swags and chandelier lighting throughout. 4.5ft square black and white dance floor. 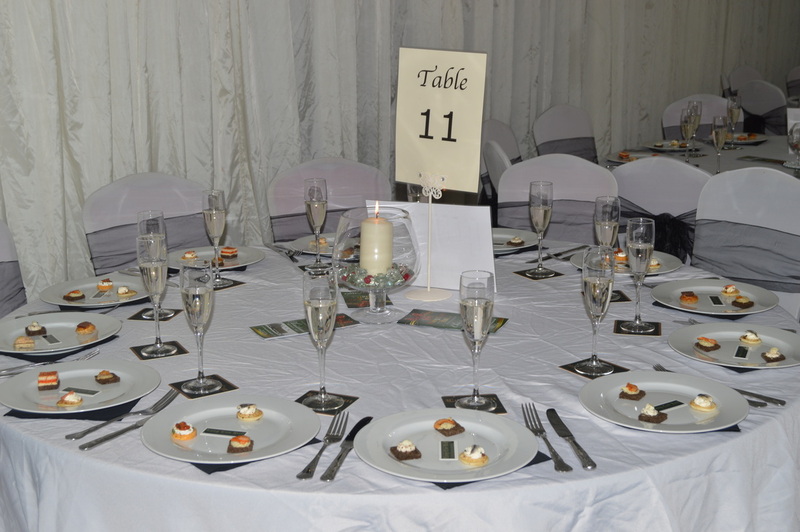 A hog roast dinner for you and your guests to feast on with a luxury salad bar. 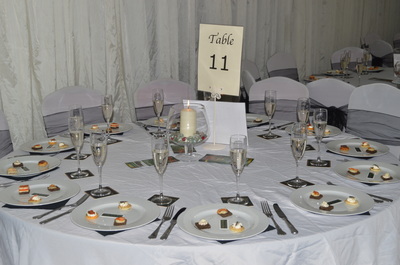 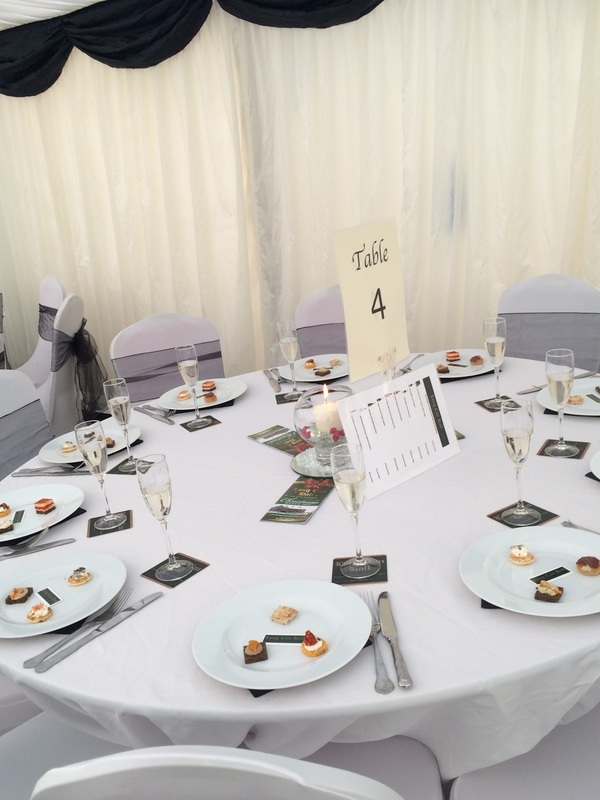 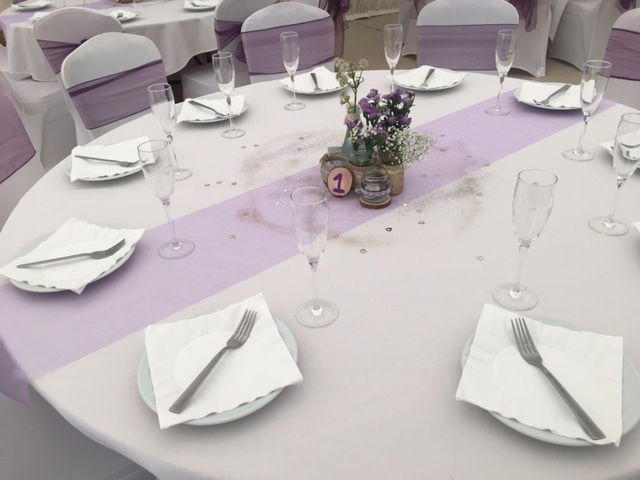 Tables dressed with Sterling Silver cutlery and pristine white plates with Champagne flutes. Staffed Day and Night with Professional and Helpful Staff. Price for 100 People £5895.00 £58.95 per person thereafter. 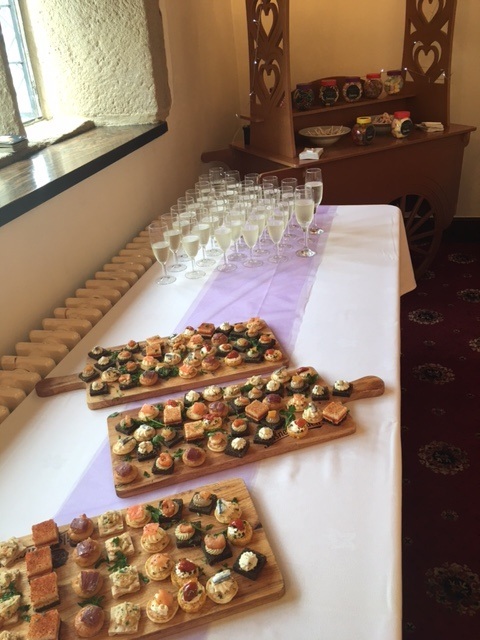 With salad bar, freshly baked bread, coleslaw, sage & onion stuffing, gravy, fried onions and sausages.